Nintendo just sent around a press release indicating that their price cut maneuver paid off to the tune of 235,000 Nintendo 3DS units sold during the month of August in the United States alone. The handheld enjoyed a sales rate uptick of 260% since the company dropped the price of the 3DS from $250 to $170 on August 12th. 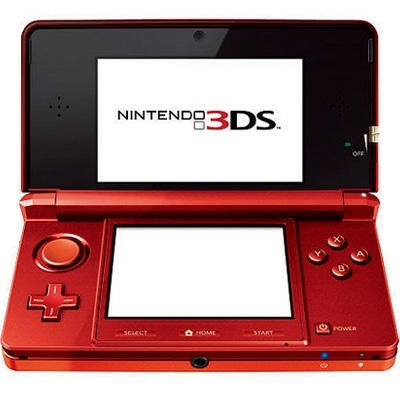 "Consumers are responding very positively to the new suggested retail price of $169.99 for the Nintendo 3DS…With Star Fox 64 3D and the new Flame Red color launching tomorrow, and Super Mario 3DLand and Mario Kart 7 arriving later this year, Nintendo 3DS will offer consumers cutting-edge entertainment and tremendous value this holiday season." While Moffit's words are undeniably puffed up public relations speak, the man is absolutely right when it comes to the upcoming software lineup for the Nintendo 3DS. The system's major problem since launch has been an absence of quality software, something that it wasn't able to fully recover from even after one of the greatest game's of all time saw a re-release under its banner; that game, of course, is The Legend of Zelda: Ocarina of Time 3D. Now that the holiday season is upon us, Nintendo will actually be able to bolster the 3DS lineup with a roster of seemingly quality products, Moffit named a few: Super Mario 3D Land, Mario Kart 7, Star Fox 64 3D and Kid Icarus: Uprising are due before the expiration of 2011. Did the price cut make you one of the 235,000 to pick up a Nintendo 3DS in the States during August? How about the rest of the world, were you swung by the big dip? Which game are you looking forward to most for the holiday? Me? My wife already has the divorce papers prepped for the week of Mario Kart 7's launch.